Just one year into the 17th Congress, Sen. Bam Aquino worked for the passage of two important measures that are just waiting for President Duterte’s signature to become a law. The measure providing free education in state universities and colleges (SUCs) and local universities and colleges (LUCs) was passed unanimously by the Senate during Sen. Bam’s short stint as chairman of the Committee on Education. Sen. Bam also spearheaded the passage of the measure providing Filipinos free internet access in public places as chairman of the Committee on Science and Technology. “Kapag naisabatas, napakalaki ang maitutulong ng panukalang ito upang mabigyan ang mas maraming Pilipino ng pagkakataong makatapos ng kolehiyo,” said Sen. Bam, referring to the Universal Access to Quality Tertiary Education Act, which he principally sponsored and co-authored. As principal sponsor, Sen. Bam defended the measure in plenary debates and interpellation. He also stood as co-chairman of the Senate delegation to the bicameral conference committee, together with new Committee on Education chairman Sen. Francis Escudero. Other members of the Senate panel are Sens. Sherwin Gatchalian and Ralph Recto. If approved, it will institutionalize free tuition and other fees in SUCs and LUCs all over the country, giving underprivileged students a chance to earn a college degree. It will also streamline and strengthen all Student Financial Assistance Programs (StuFAP), making it available to students who want to pursue higher education in private institutions, as well as subsidizing other expenses of SUC students. The senator added that the Free Internet in Public Places Act will empower Filipinos with internet access to education, information, jobs and business once enacted into law. “We hope that this can be a step towards improving internet services in the Philippines, which, of course has become a main point for many of our countrymen,” said Sen. Bam, also the principal sponsor and co-author of the measure. If signed into law by President Duterte, it will provide internet access in all national and local government offices, public schools, public transport terminals, public hospitals and public libraries. Under the measure, the Department of Information and Communications Technology (DICT) will be mandated to craft a plan and a timeline for the rollout of this program. 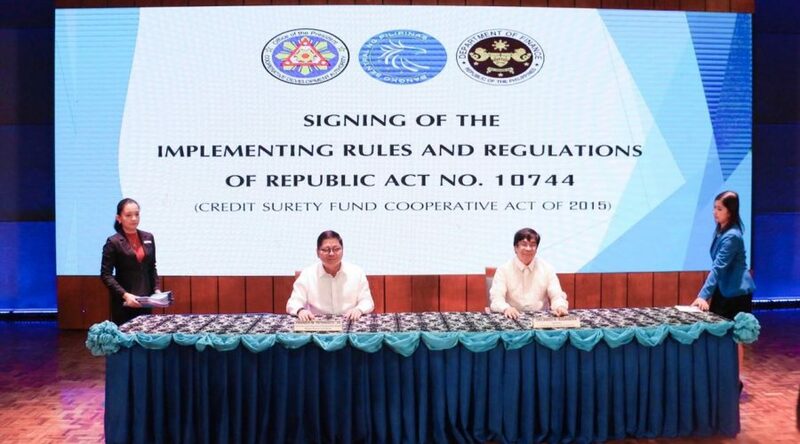 Small enterprises will now benefit from the Credit Surety Fund Cooperative Act of 2015 with the signing of its implementing rules and regulations (IRR), according to Sen. Bam Aquino. “Finally, small enterprises can access loans and financing with the full implementation of the Republic Act 10744,” said Sen. Bam. Sen. Bam was the author and principal sponsor of the measure in the Senate during his time as chairman of the Committee on Trade, Commerce and Entrepreneurship in the 16th Congress. The law institutionalizes the Bangko Sentral ng Pilipinas’ Credit Surety Fund (CSF) program, which provides small businesses loans ranging from P200,000 to P5 million. Sen, Bam pointed out that loan needs for small businesses usually range from P500,000 to P5 million, which is too big for microfinance institutions and perceived as too risky by banks, which usually ask for collateral. “Through this measure, we hope more small enterprises will have access to the capital they need to grow their business,” Sen. Bam said. 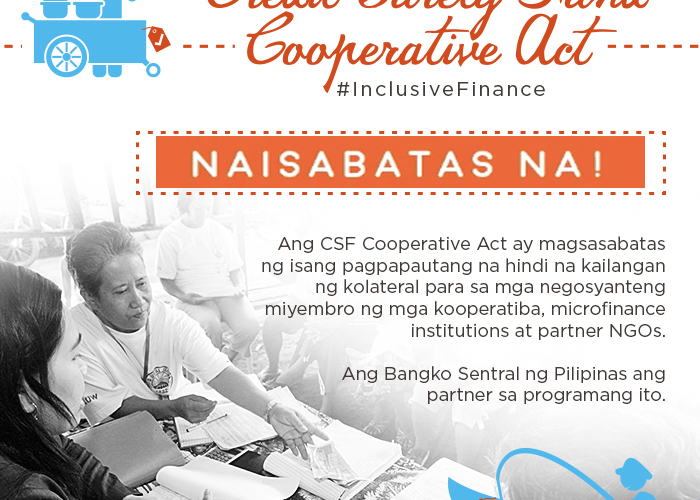 The law mandates the BSP, local government units, cooperatives, microfinance NGOs and government financing institutions (GFIs) to create an initial fund. This initial fund may be used by entrepreneurs and businessmen belonging to cooperatives and microfinance NGOs, which helped establish it, as collateral or guarantee for bank loans. Currently, the BSP’s CSFs exist in 46 provinces and cities with two more to be launched next week. As of April 30 2017, the total amount released through CSFs is P3.25 billion to 16,360 MSMEs. Republic Act 10744 aims to build the capability of MSMEs, cooperatives and non-government organizations in the areas of credit evaluation, loan and risk management, and good governance. It also seeks to enhance the MSMEs’ credit worthiness and broaden access to credit facilities, and sustain the continuous flow of credit in the countryside. “This will generate more employment and alleviate poverty through increased investments and economic activities,” Sen. Bam pointed out. More jobs await persons with disabilities (PWDs) in government offices and private entities if the bill submitted by Sen. Bam Aquino will be enacted into law. Sen. Bam’s Senate Bill No. 1249 seeks to amend Republic Act 7277 or the Magna Carta for Disabled Persons to mandate government agencies to ensure that two percent of their employees comprise of PWDs. Private organizations, for their part, will be required to employ 1 percent of their workforce from PWDs. “This bill seeks to guarantee the inclusion of PWDs in the workforce and provide commensurate compensation, benefits and employment terms for PWDs as any other qualified employee,” Sen. Bam said. “Let’s give our PWDs more opportunities to generate livelihood,” he added. If passed into law, Sen. Bam believes the measure will give PWDs a more meaningful and productive role in society. “Furthermore, an increased PWD presence in the workforce aims to heighten public awareness and consideration for their rights,” Sen. Bam said. In the 16th Congress, Sen. Bam tirelessly worked for the welfare of PWDs, with the passage of Republic Act 10754 that exempts them from paying the value added tax (VAT). The law also gives tax incentives to persons with PWD dependents, up to fourth civil degree of consanguinity or affinity. 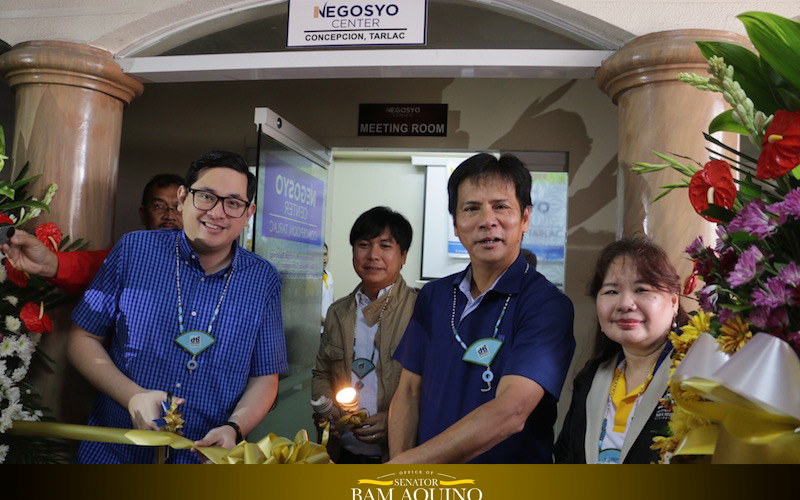 Small and medium enterprises will now have additional access to credit with the approval of the Credit Surety Fund (CSF) Cooperative Act into law, according to Sen. Bam Aquino. Aquino, author and sponsor of the Senate version of the measure, said that Republic Act 10744 would institutionalize the CSF program of the Bangko Sentral ng Pilipinas (BSP), which targets the missing middle or loan requirements ranging from P200,000 to P5 million. 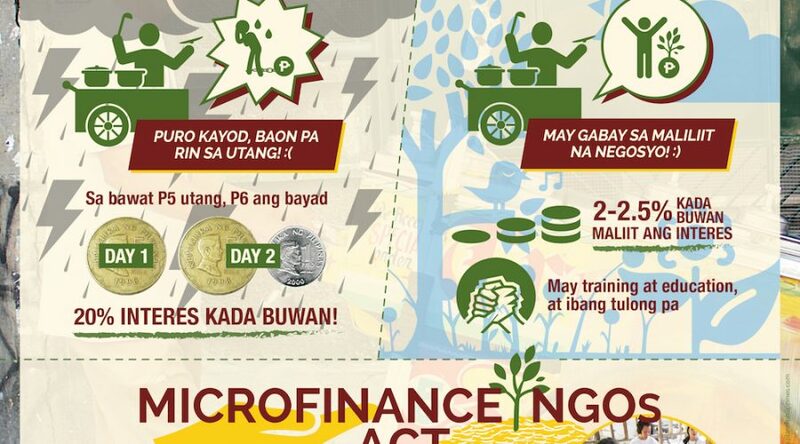 “When it comes to micro, we have the cooperatives and the microfinance institutions. When it comes to the medium and large, our banks are actually quite willing to provide loans,” said Aquino, chairman of the Committee on Trade, Commerce and Entrepreneurship. “This small enterprise space that we perceive to still be a missing middle will, hopefully, be catered to through the Credit Surety Fund Cooperative Act,” he added. According to Aquino, the smaller enterprise’s loan needs that range from 500 thousand pesos to 5 million pesos are too large for microfinance institutions but still perceived to be too risky for banks, which, most of the time, ask for collateral. Through this, the BSP, local government units, Department of Finance, Cooperative Development Authority, cooperatives, microfinance NGOs and government financing institutions (GFIs) will join hands to create an initial fund. This fund may be used by entrepreneurs and businessmen belonging to cooperatives and microfinance NGOs, which helped establish it, as collateral or guarantee for bank loans. “So hopefully we’ll be able to provide loans at this space with comparable rates completing the whole financial inclusion supply chain,” said Sen. Bam. Furthermore, the new law will help build the capability of MSMEs, cooperatives and non-government organizations in the areas of credit evaluation, loan and risk management, and good governance. Also, the bill seeks to enhance the MSMEs’ credit worthiness and broaden access to credit facilities, and sustain the continuous flow of credit in the countryside. “This will generate more employment and alleviate poverty through increased investments and economic activities,” added Aquino, stressing that the challenge is to grow the micro businesses into small enterprises and the small enterprises to medium enterprises. “If it this is done, growth would not only be for the few rich, rather, it would be for everyone, even to the poorest Filipino,” Aquino said. The Credit Surety Fund Cooperative Act is the tenth law of Aquino in the 16th Congress. He is a former social entrepreneur, who worked on livelihood and business development projects in poor communities for a long time before running for a senate seat in 2012. Habang wala pa ang BBL, tuloy ang pagtulong natin sa ating mga kapatid na Muslim. “It seeks to strengthen the Al-Amanah Bank to provide a broader market, while promoting both the establishment of other Islamic banks and engagement in Islamic banking arrangements by conventional banks under the supervision and regulation of the BSP,” Sen. Bam said. At present, Sen. Bam said Muslim banking and finance applies principles based on the Shari’ah Law, where the kind of banking and financing operations is characterized by risk-sharing and equitable distribution of wealth. “Undertaking or financing of anti-social and unethical business, and the setting of interest or a fixed pre-determined rate of return are prohibited,” said Sen. Bam, chairman of the Committee on Trade, Commerce and Entrepreneurship. With this, Islamic banking and finance in the Philippines is limited by three major challenges, such as lack of clear and regulatory framework, lack or scarcity of experts on Islamic banking and finance, and lack or very low investor awareness and acceptance of Islamic banking and finance. These challenges prevent the country from enjoying the vast growth of Islamic banking worldwide, which increases by 21 percent despite the existing global context. “Currently, there are more than 600 Islamic financial institutions operating in more than 75 countries and almost all major multinational banks offer Islamic financial institutions,” Sen. Bam said. Sen. Bam said the measure will help address these challenges and provide Muslim entrepreneurs an environment where they can thrive and prosper through his measure. “Accompanied by other critical inclusive financial reforms and innovations, this bill seeks to ensure the development of MSMEs not only in our major urban centers but also in the poorest and hardest to reach areas,” the senator said. “It also seeks to ensure that every Filipino, regardless of status, identity or religion has access to critical services to enable them to seize economic opportunities and be part of the country’s progress,” he added. 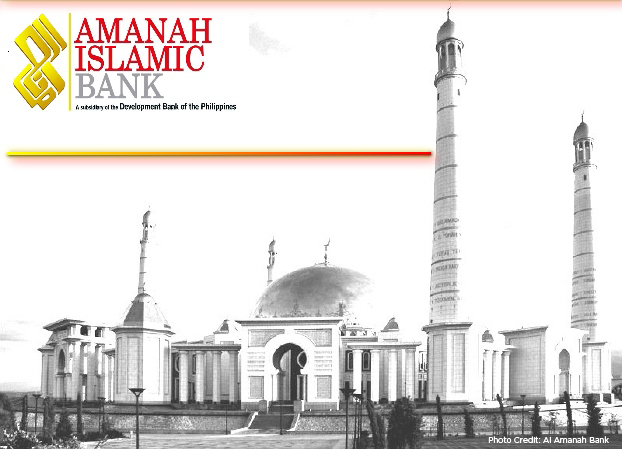 The bill amends the charter of the Al-Amanah Bank, providing for the organization and regulation of an expanded Islamic banking system in the Philippines. The proposed measure further mandates government to provide programs for increased consumer awareness and capacity building required by the expanded Islamic banking system. Government shouldn’t discriminate. Its doors should be open to all Filipinos, rich or poor. 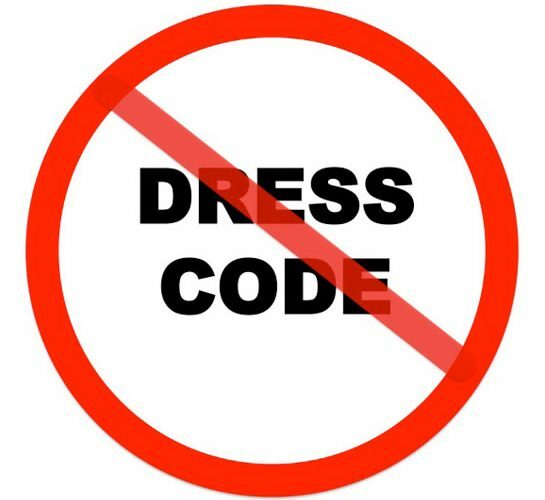 A senator wants all government agencies to eliminate dress code to allow more Filipinos to avail of services and allow them to participate in assemblies concerning their welfare, especially in legislative hearings and sessions. In his Senate Bill No. 3089 or the Philippine Government Agency Open Door Act of 2015, Sen. Bam Aquino stressed that every Filipino should be permitted to participate in assemblies that affect them and their community, particularly legislative hearings and sessions. “All Filipinos must be granted access to frontline services, especially from public offices,” he said. However, needless dress code policies serve as barriers to many of our marginalized Filipinos and those from indigenous groups as they seek to become more participative and rightfully demand services. “How can they raise their voice when they’re standing in the heat and behind cold walls? These are the countrymen we are called to serve,” said Sen. Bam, adding that it’s time to open government offices and be more considerate of our policies for all Filipinos, regardless of economic status. The Philippine Government Agency Open Door Act of 2015 aims to mandate all government offices to accept entry to all Filipinos and to eliminate the dress code some agencies that are following. “We are called to open the doors to those that have the least in our society, those we have the most to learn from, and those that we desperately need to hear,” Sen. Bam stressed. “We have the opportunity and a duty to generate policies that contribute to a nation that is fair, just, and inclusive. We have a responsibility to create a Philippines where all Filipinos, even minorities and marginalized sectors can live free from discrimination,” he added. Sen. Bam worked with poor communities on business projects as a social entrepreneur before becoming a senator in 2013. Sen. Bam Aquino welcomed the country’s climb to 52nd place in the latest WEF Global Competitiveness Report 2014-2015, saying it is a fruit of the administration’s “Tuwid na Daan” advocacy. “This is a clear proof that the government’s fight against graft and corruption and push for good governance are working and moving the country forward in the right direction,” said Sen. Bam. According to the report, the Philippines is the most improved country as it climbed 33 places since 2010, the largest over that period among all countries studied. Sen. Bam said the country has made great strides in terms of the institutions pillar, particularly in the fight against graft and corruption. “From 125th in 2010, we have climbed to 67th, a remarkable improvement that could be credited to the government’s intensified campaign against corruption,” Sen. Bam said. Sen. Bam also noted the country’s improvement in terms of ethics and corruption, moving from 135th in 2010 to 81st this year. This year, the country improved in 10 of the 12 categories of the index, with Macroeconomic Environment (up 14 from 40th to 26th); Business Sophistication (up 3 from 49th to 46th) and Innovation (up 17, from 69th to 52nd) as strongest areas. “We need to allow more Filipinos to be able to do business easily and discover the next big innovative product and service out there,” said Sen. Bam, Chairman of the Senate Committee on Trade, Commerce and Entrepreneurship. The country also improved in terms of Higher Education and Training (up 3 from 67th to 64th); Institutions (up 12, from 79th to 67th); and Technological Readiness (up 8, from 77th to 69th). However, the report recommended that the Philippines work on Labor Market Efficiency, Infrastructure and Health and Primary Education, where it ranked in the low 90s. “Sa gitna ng mga reporma, kailangan pang paigtingin ang ating mga kilos upang bigyan ng sapat na serbisyo ang mamamayang Pilipino sa edukasyon at kalusugan,” said Sen. Bam. 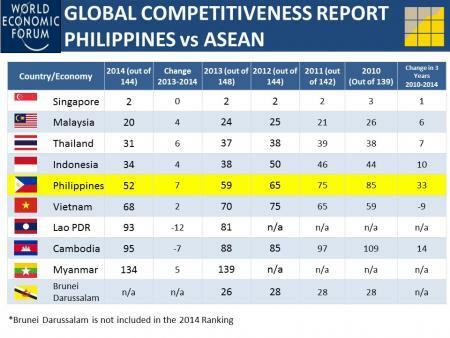 After recording the largest gain this year, the Philippines is now ranked 5th in ASEAN, behind Singapore, Malaysia, Thailand, and Indonesia. 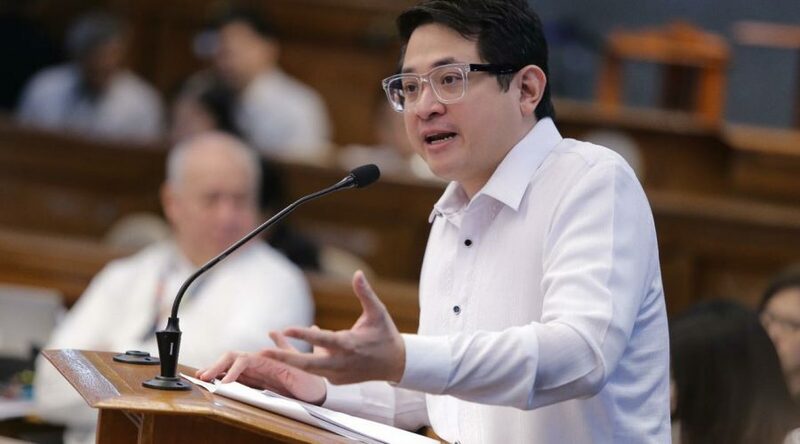 “Investment in infrastructure will move us further and beyond,” added Sen. Bam, who recently spearheaded Senate hearings on the traffic woes in Metro Manila and the slow and expensive Internet connection in the country. The Global Competitiveness Report is an annual publication that provides a comprehensive picture of the productivity and competitiveness of a country by gathering statistical and survey data on over 100 factors grouped into 12 pillars or categories.